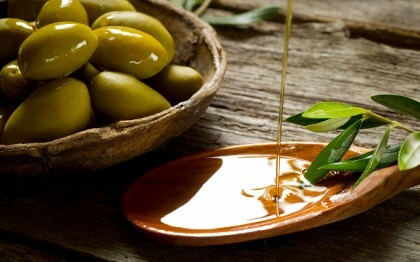 Compounds found in virgin and extra virgin olive oils can actually suppress gene based inflammation, studies have found. These phenolic compounds have been shown to reduce the inflammation commonly associated with heart disease, along with other ailments related to inflammatory gene production. In essence, higher consumption of the phenol found in olive oil in a variety of foods can sufficiently reduce inflammation, thus lowering the chances of developing a heart condition or diabetes. Biomed Central (BMC) had tested the effects of a virgin olive oil-based breakfast amongst a slew of test subjects suffering from metabolic syndrome – people that have an inherently high risk for coronary artery disease, type 2 diabetes, and strokes because of a series of health conditions. The study was a double blind trial, with a group of two dozen or so people suffering from the various health conditions known collectively as metabolic syndrome, randomized into both control and test groups. The subjects were given nearly a barebones breakfast for the 2 week study, without any outside health supplement aside from the breakfast with both high phenolic content and low, ranging from about 400 parts per million down to 70 parts per million. What was found within the genetic content of the test subjects was a large amount of genes, linked to obesity and diabetes, being suppressed by the high phenolic content within the olive oil based breakfast, while other genes would be expressed in a higher volume. What does this mean for the rest of us? In terms of the seemingly losing war against obesity, the research offers a new ray of hope, particularly amongst people that have been naturally born with the genes suppressed by the high phenolic content of the oil. This is not to say that others will not benefit as well – the gene is prevalent in many people and the phenols in virgin olive oil can be beneficial to anyone that chooses to utilize it. You may be able to potentially save yourself a lifetime of suffering if you were to implement a daily regimen of olive oil into your diet.